Achillea, better known by its common name, yarrow, has a long and storied history in herbal medicine and folklore. The plant’s botanical name refers to the great warrior Achilles, who is said to have used yarrow to staunch his battle wounds and that of his men. Throughout history, names for the plant have included references to its purported wound-healing properties. Sanguinary, soldier’s woundwort, knight’s milfoil and herbe militarist all point back through the mists of time to the Greek warrior. Today, yarrow is better known as a summer blooming perennial flower and as a beautiful and useful addition by florists to summer bouquets and arrangements. Achillea millefolium is the most commonly used type. Yarrow has strong, fairly thick upright stems containing one multiple-flowered head at the tip of each stem. Smaller side stems may contain additional flowers. These can be cut and used separately or with the major stem. 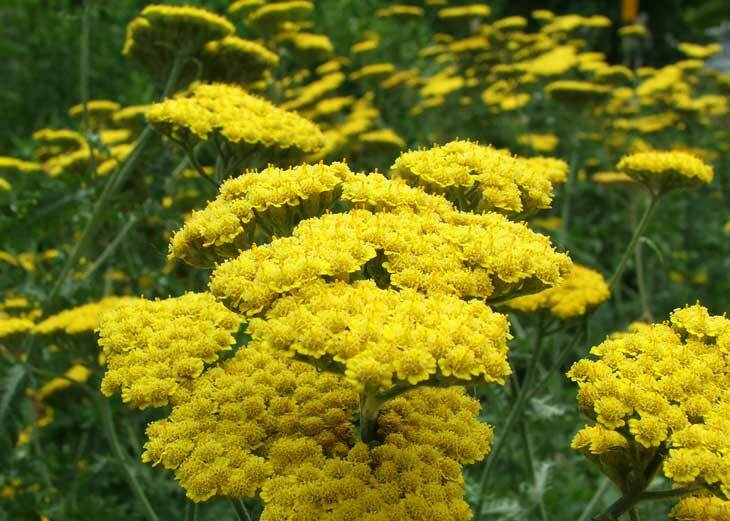 Yarrow is most commonly a cheerful yellow, although other colors may be found. White, pink, red and rust are also available to the florist trade. Yarrow is typically used as a bright filler plant in mixed summer arrangements. Because yarrow grows wild in fields, ditches and meadows throughout the United States as well as in other parts of the world, many people associate it with wildflowers. This association makes it blend in better with informal designs, such as mixed bouquets of daisies and other summer flowers. Yarrow can also be cut and twined around wreaths to decorate churches and reception halls for summer weddings. There’s very little waste when you purchase yarrow in for your shop because not only can yarrow be used in cut flower arrangements, it can be dried and stored for long periods of time as a dried flower. Added to autumn arrangements as a dried flower, yarrow lends a nice decorative touch. There are several considerations for florists when purchasing yarrow. Yarrow is prone to botrytis, a fungal disease affecting many ornamental plants as well as fruits and vegetables. Botrytis appears gray-brown and fuzzy, and affects flowers, leaves and stems. A small amount of botrytis found on yarrow flowers can spread rapidly through cut flowers, causing unsightly discoloration and infecting nearby plants. Use care and caution when selecting yarrow for your arrangements and avoid any with discolored buds, flowers, leaves or stems. Even if some yarrow stems are healthy, if others in a container are infected, avoid any from that particular container to prevent spreading the infection into other plants or healthy plant material. Another fungus commonly found on yarrow is powdery mildew. Powdery mildew appears like a white or gray powder on the leaves. Avoid purchasing infected plants. If plants are kept in areas of low humidity and good air circulation, powdery mildew is unlikely to spread. Because of these potential problems, change storage water daily. A drop of bleach can be used to sterilize the water. After using up your yarrow supplies, sterilize vases and containers with a bleach solution before using them with other cut flowers. Once you’ve purchased healthy yarrow, cut stems under running water and remove all leaves below the water line. Immerse the cut stems in a solution of warm water and dissolved commercial floral preservative for two hours before using or storing yarrow. Yarrow may be stored at 34 to 38 degrees F. Yarrow lasts for about 10 days as a cut flower. Bunches of yarrow sold to the florist trade in the United States are typically priced between $4 and $6 wholesale per bunch. In the United Kingdom, it costs approximately £2.50. Yarrow is in season June and July in the United States and May, June, July in the United Kingdom. 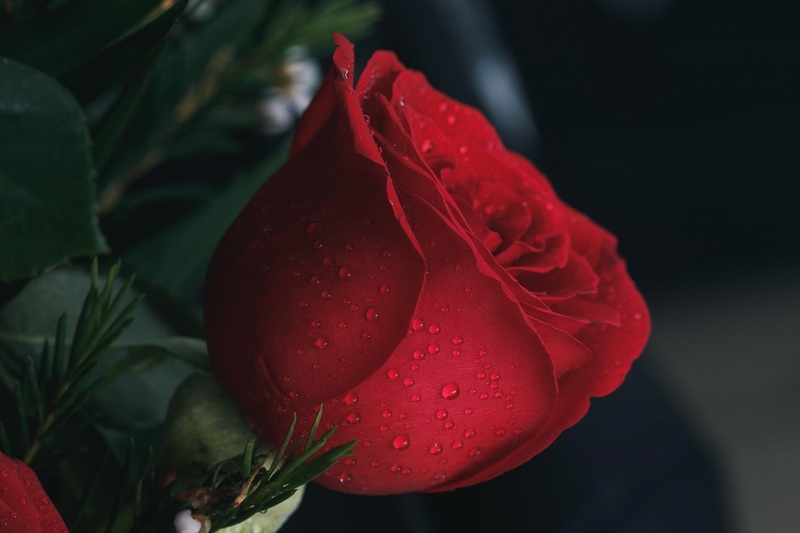 Flowers may be easier to obtain or costs may be lower if purchased in season.